Hillel Lazarov has been painting since his early childhood, and continued to nurture his passion turning it into a vibrant career of mural painting. He was born on April 15th, 1966 and grew up in the colorful Florentine district of Tel Aviv, Israel. He studies in Balfur School in Tel Aviv under its legendary principle Yael Ha’Elyon, who saw his talent and gave him the support to develop it. By fourth grade he was painting a mural on his school, and the rest is history. From ages 12 to 19 he apprenticed with artist Yoav Shuali in Givataim, where he learned all the fundamentals of drawing and painting. As a teenager he fell in love with the surrealist movement in art, and studied artists such as Dali and Margarite, whom have had a big influence on his work. 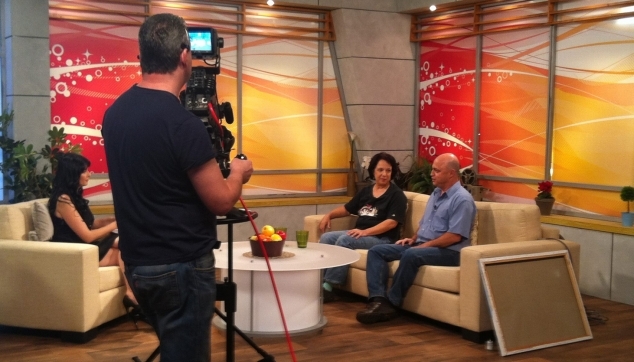 In 1984 Hillel joined the Israeli Armed Forces, where he served as the chief graphic artist for the IDF. During his service he was commissioned to paint several oil painting to honor and celebrate departing army generals, including Chief of Staff Moshe Levi. After his military service Hillel began attending the College of Management in Tel Aviv for graphic design, while simultaneously working as a graphic artist for billboards. In his free time he rented out a studio of his own in Tel Aviv and began working an oil painting body of work that would lead him to two exhibitions - at age 23 in Bait Yad Lebanim in Tel Aviv, and a year later in Mofet Gallery in Ramat Gan. 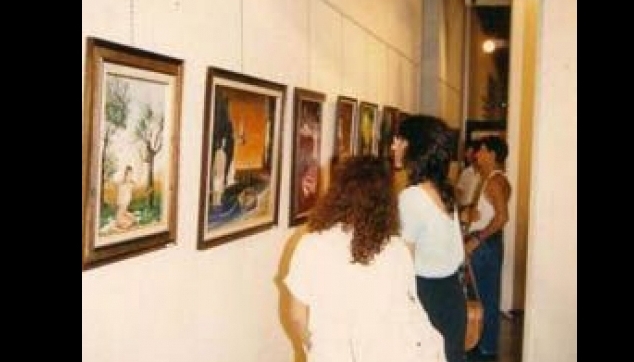 In 1990 Hillel embarked on a long trip to see the great art museums in Europe. He visited the Louvre in Paris, the National Museum of London, the Uffizi Gallery in Firenze. What he saw in these museums, along with the incredible murals of the Vatican and other European churches inspired him to return to Israel and take his love for mural paintings to the next level. 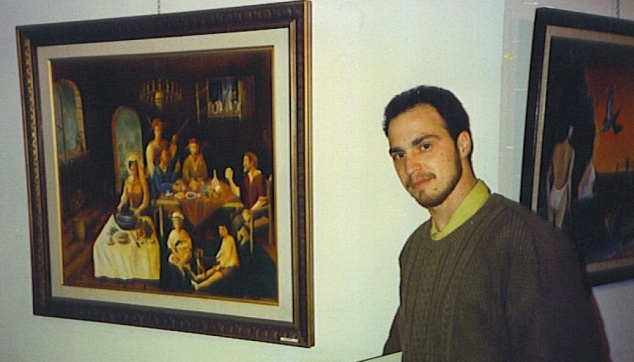 On his return to Israel Hillel quickly started gaining more and more experience in mural paintings and received opportunities to showcase his work on public buildings. 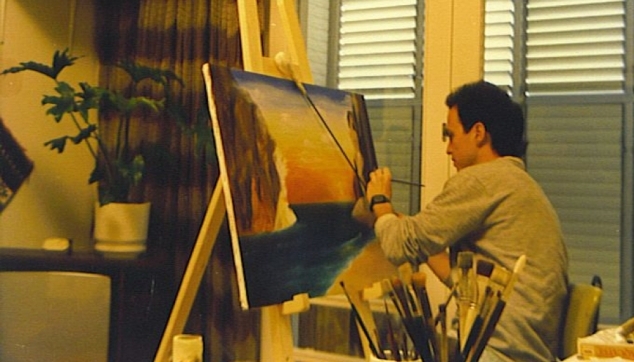 He also began incorporating airbrush techniques into his paintings, which allowed him to create beautiful effects and finishes that could not be achieved with the regular paintbrush. His reputation preceded him and he quickly became an expert on beautifying public spaces with his colorful and communicative murals. Many city mayors and councils commission him especially to improve the appearance of their city and enhance the community. He is invited to paint in hospital and nurseries throughout Israel, to decorate large gymnasiums and public centers, water towers, swimming pools, hotel, religious centers, and many more. In 2010 Hillel began teaching a mural painting course at the local university in Tel Aviv, and afterwards opened up his own center for the arts where he continues to teach. Artists come to his classes from all over the country to learn how to become professional muralists using the airbrush technique, and achieve amazing results. In 2012 Hillel founded the educational project “Kids Paint the School” where he leads workshops for students throughout the country that culminate in a collaborative mural painting for the students to decorate their own school with. 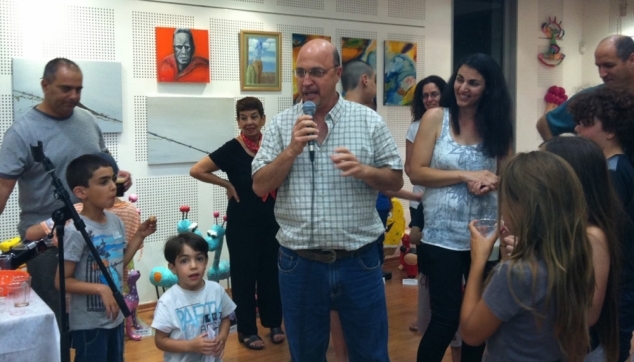 Hillel Lazarov is leading the mural painting scene in Israel and has taught and mentored many artists in Israel. He is a public figure in the media and he exposes people every day to the beautiful art of mural painting. All the while he continues to take on major projects in cities and public spaces with his company of artists BIGART LTD.